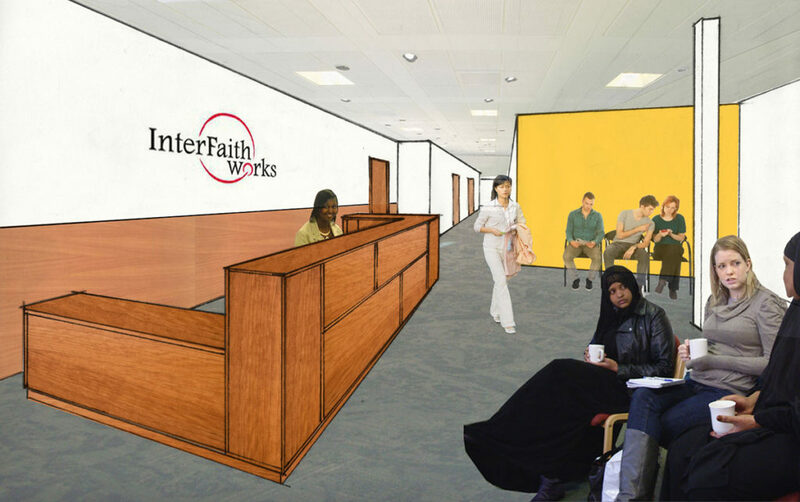 Echo worked with InterFaith Works to design a new home to bring their various programs together under one roof. 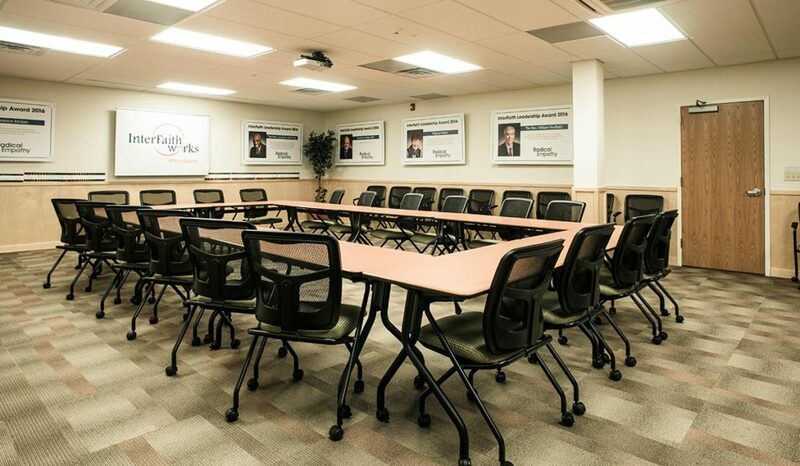 Echo supported IFW in their search for a fitting property to invest in, conceptualizing their spatial needs, and implementing a major renovation on an existing, but out-dated, office building. The main goal of this project was to create an inclusive and welcoming place for the diverse communities that IFW serves, while also providing privacy and quiet spaces for the staff’s confidential, focused work. 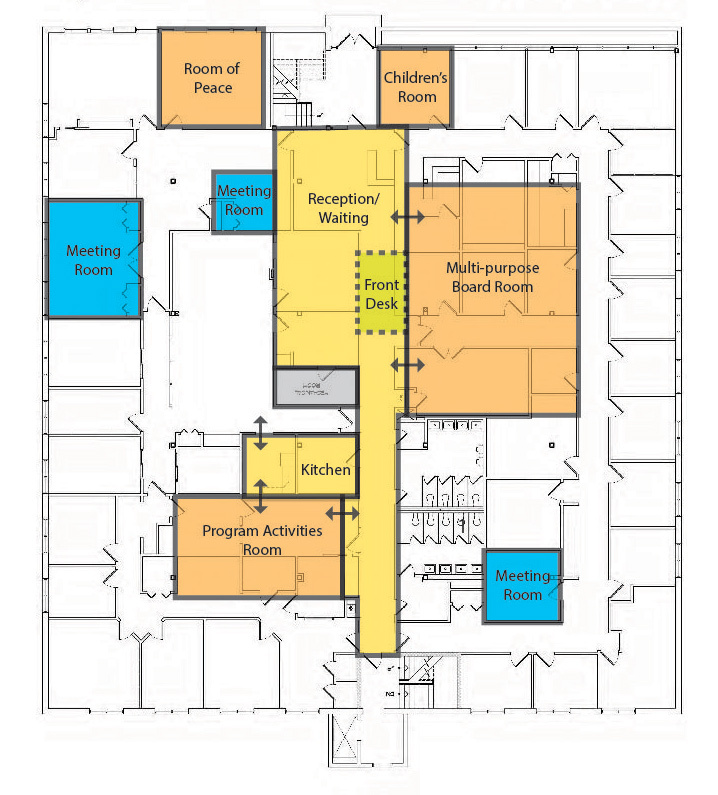 The solution was to carve a large core of public and semi-public spaces out of the existing labyrinth of offices in the center of the building. The perimeter offices remained as a ring around this core, providing privacy and daylight for the staff’s primary work spaces. 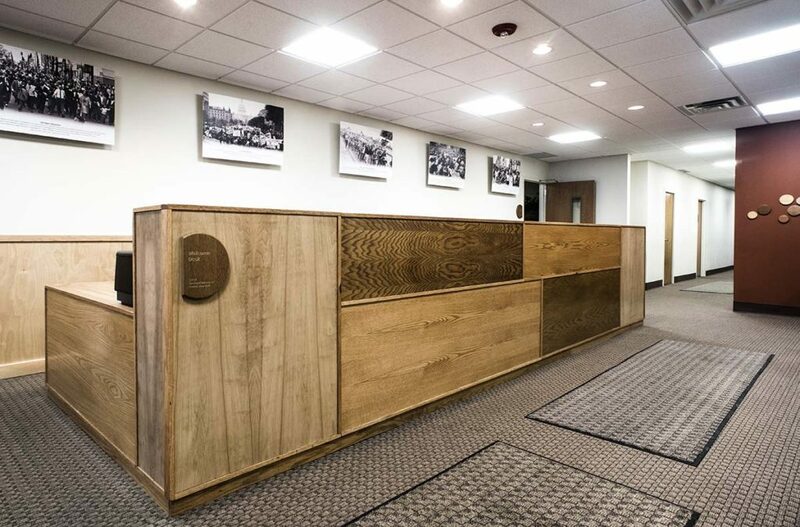 A large, double-work-station front desk was designed in the new building lobby, with visual access to entrances on both ends of the building. Echo executed this custom built-in piece, constructing the desk using a composition of salvaged doors and door-trim that were set aside during the demolition phase. Echo was also responsible for the design and fabrication of the building signage, including a large, lobby installation honoring the project’s donors.